COMMERCIAL ZONING REFORMS (VICTORIA): As at July 1st 2013, there has been a substantial restructure of Victoria’s Commercial planning zones by the state Government. The new commercial zones will offer more flexibility that is needed to support a range of commercial demands. 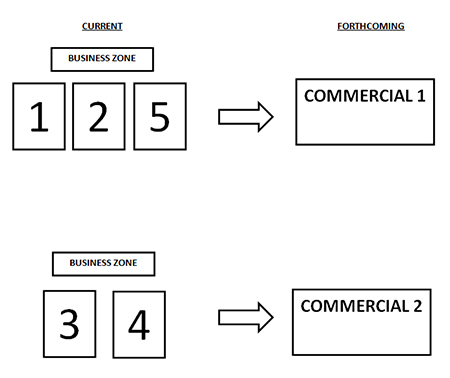 Commercial 2 Zone (C2Z) The Commercial 2 Zone will replace the existing Business 3 and 4 zones. The Department of Planning and Community states that the new C2Z will promote ‘more opportunities for office, commercial business, restricted retail premises, trade supplies and some limited retail activity’. The new zone will allow: – A small format supermarket up to 1,800 square metres in metropolitan Melbourne, without a permit – Removal of office and retail floor space caps in many instances, to create new opportunities for office and retail growth – Bulky Goods premises and Trade Supplies will be an ‘as of right’ use We anticipate that the pending changes will be of a direct benefit or allow you to recognise greater potential from market opportunities. We would suggest Town Planning matters be confirmed by the relevant professional advisors.